Here is a fun craft project that would be great for adults and kids to make together over the summer holidays. 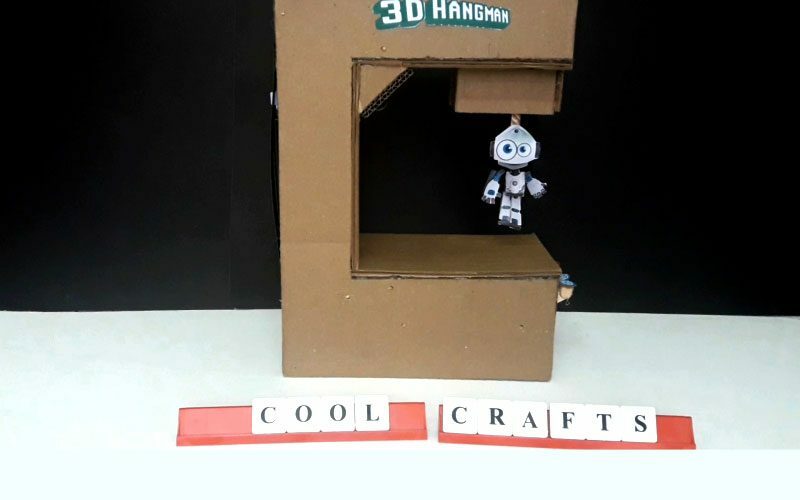 It come from Cool Crafts who used our Submit Your Project page. This is what they had to say. Played hangman before on paper? How about a 3D game version of it made from cardboard. This video shows you how to make it. The video requires quite a few watches if this a project you are undertaking…it would be even better if there was a printable template provided, I am going to ask Cool Crafts if they have one! This entry was posted in Craft Projects, Paper and tagged 3Dart. Bookmark the permalink. Thank you for featuring the video on this site. No printable templates as of now. Wherever possible the main dimensions have been provided in the video. This construction uses quite a bit of candy sticks and crafts sticks which are of standard dimensions. Also a lot of hot glue and super glue which needs to be used carefully. Hangman has never been done this way before. It’s a challenging build and I wish the best to those who attempt it.